On Tuesday, October 7 The World Affairs Council of Connecticut’s program, “Forced Out! From Conflict to Connecticut: The Story of Refugees in Connecticut” provided an unique opportunity for insight on the refugee resettlement process in the state. Held in conjunction with The University of Saint Joseph, the event featured a presentation by Chris George, the Executive Director of the Integrated Refugee and Immigrant Services (IRIS). This year, WACCT’s Model UN Program features a special refugee committee that will participate in a simulation run by IRIS. Forced Out provided a chance for the committee officers and participants to interact with those who work directly with refugees in Connecticut. Chris George speaks to “Forced Out!” attendees about refugees in Connecticut. Chris George’s speech began with stories about his experiences in refugee camps around the world, where he was touched by the hospitality of the refugees he met. The presentation detailed the process of refugee resettlement in the state of Connecticut, which accepts a portion of the approximately 70,000 refugees invited to resettle in the United States per year. Newly arrived refugees can face culture shock, language barriers, and mental health issues stemming from the conflict in their home countries. Although IRIS is able to help refugees with the job search process, finding healthcare, and placing children in schools, George explained that this assistance can only help for a short period. He disclosed that IRIS and other refugee organizations in the state hope to bring legislation in Connecticut that will provide more funding to supplement the limited federal and private funding. George ended his speech by highlighting the importance of volunteers who can provide a variety of services for refugees in the state. For more information on IRIS, click here. 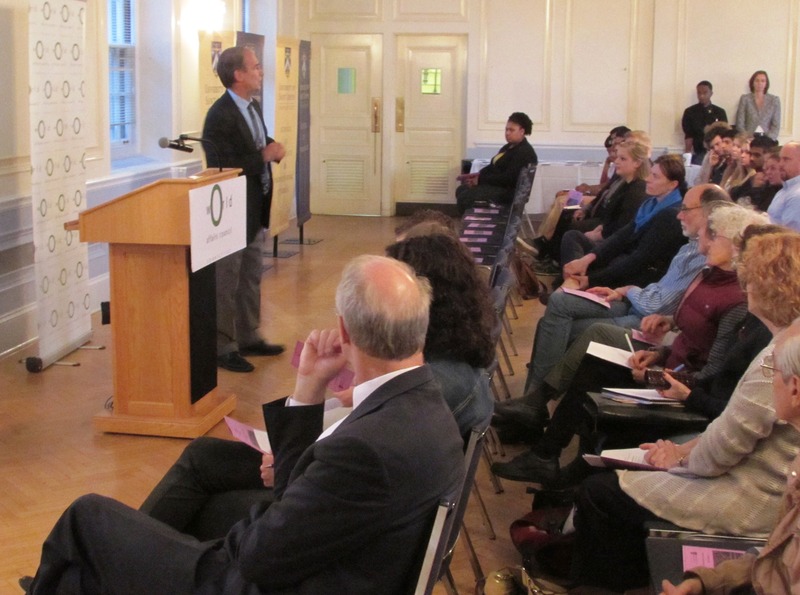 In addition to the presentation, four organizations that help resettle refugees and advocate for refugee and immigrant affairs in Connecticut had representatives to provide more information about their respective agencies. The International Institute of Connecticut, the Hartford Commission on Refugee and Immigrant Affairs, Catholic Charities, and IRIS provided additional materials to everyone in attendance on how they can help refugees in the state. 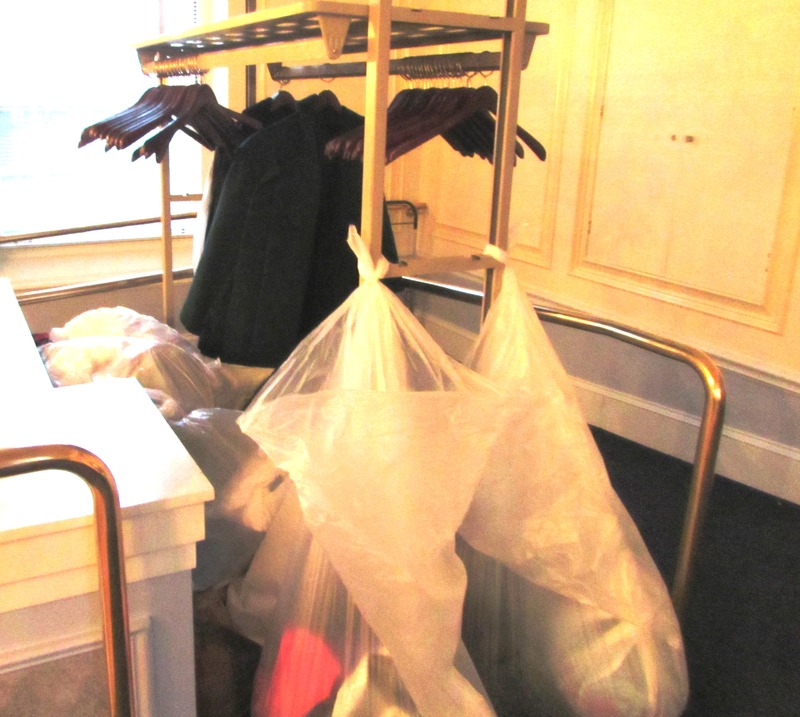 Program attendees donated to the winter clothing drive to benefit IRIS. The World Affairs Council hosted a winter clothing drive for IRIS at the event as well. All donated items will be brought to recently resettled refugees to help them keep warm during cold Connecticut winters!